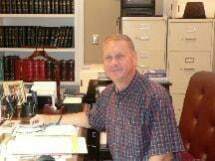 At the law firm of attorney L Richard Padgett, Jr. PC, I am committed to providing attentive and accomplished legal representation to individuals and families in Salem and the surrounding Virginia communities. I bring 35-plus years of experience to family law cases such as divorce, child custody and child support, as well as criminal defense and traffic violation cases. I also handle real estate matters, including closings and foreclosures. No matter what legal issue you face, you want to choose a lawyer who will be there for you from start to finish, serving as your advocate every step of the way. When you choose my law firm, you can count on receiving the one-on-one attention your case requires to be successful. You will have the opportunity to spend time with me personally, asking questions and getting the answers you need to know in order for you to understand all your options. I will clearly outline the strategy I recommend for protecting your interests, and I will keep you involved and informed at all times. Whether you are contemplating a divorce or involved in a similar family law case, or you have been accused of a traffic offense or some other crime, you want to be able to comfortably discuss your issue. I offer a casual office setting. You will be able to meet with me there for a free 30-minute consultation. Free parking is available.